#97. 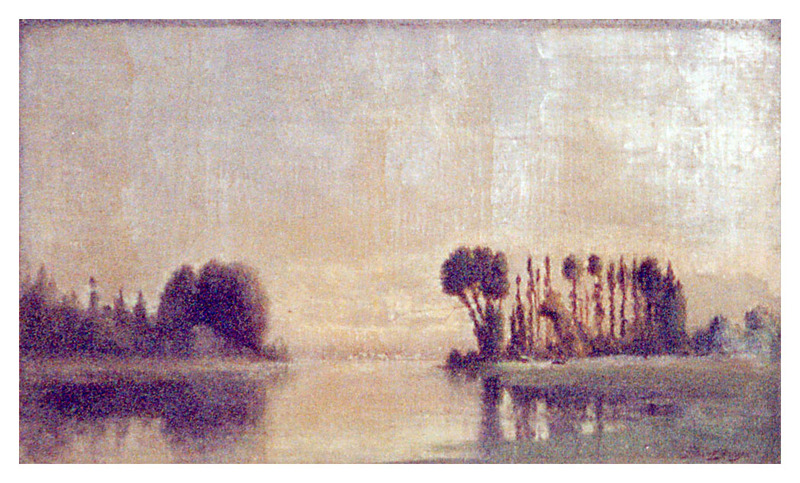 Barbizon River Scene. 11 x 18, oil on canvas. "Gilbert Munger" lower right. 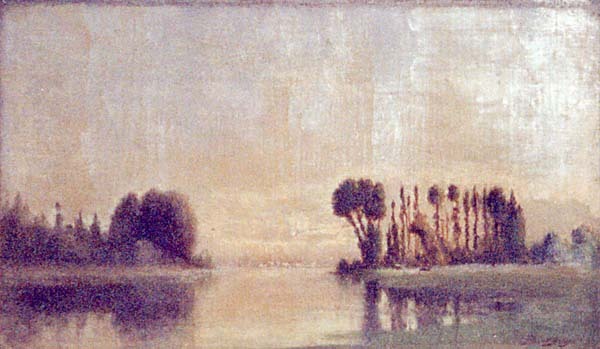 Shows the same scene as painting #21. From Munger's estate to the family of the current owner. Image from author's photo.